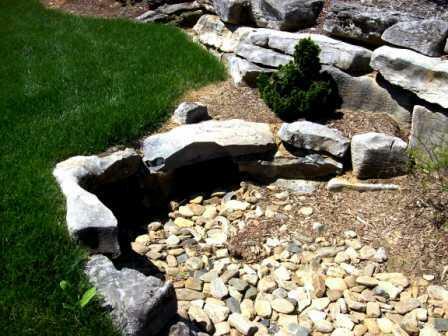 Poor drainage has the greatest opportunity for property damage. 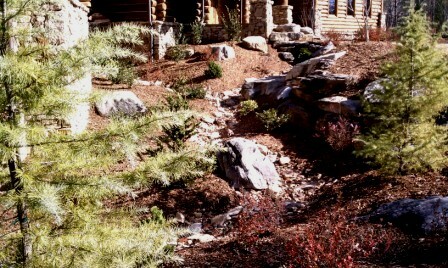 Proper drainage is arguably the most important element in landscapes. Along with grading it is one area that has very little room for error. When this is not given the attention that it deserves, water will always reveal the quality present, (or lack thereof). 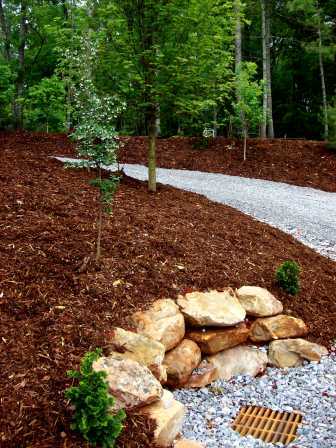 Drainage infrastructure doesn't have to be just functional. It can provide some of the most attractive details in any composition. After all, that is what all of these are is artistic compositions. 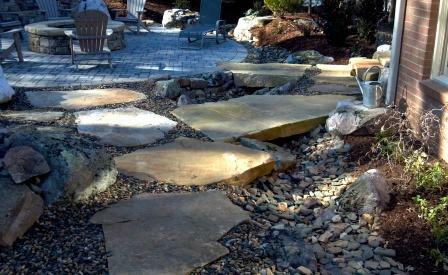 Many of the stream beds like this have french drains under the decorative stone that provides a way for volumes of water to leave the space quickly.